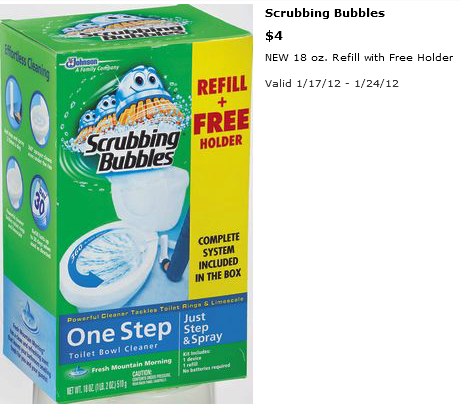 FREE Scrubbing Bubbles One Step Kit at Family Dollar w/ Coupon! You can get Scrubbing Bubbles One Step Kit for FREE at Family Dollar until 1/24! Thanks, Mojo Savings for the deal and photo!